The really lovely people at the Whitlam Library in Cabramatta are holding a very special meet-the-author evening on Wednesday night the 9th of June at 6.30pm. 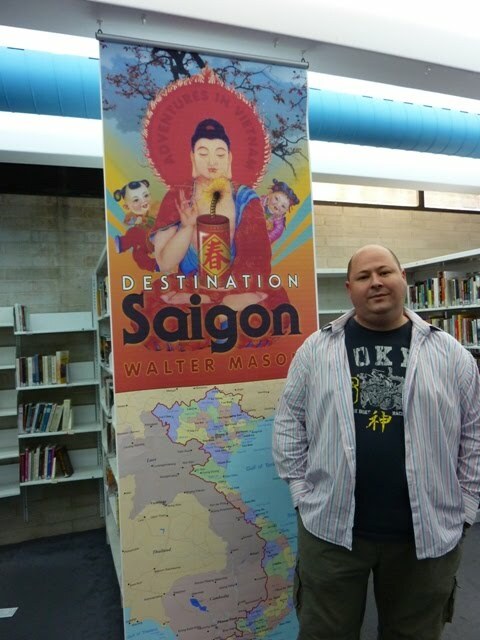 I will be talking about Vietnam, writing, and some of the special and funny stories that form the backbone of "Destination Saigon." I am so privileged to be speaking at my own local library, so please come along if you can to hear an author on his home turf. Thank you to Anne and Andrew at the library for their wonderful support, the posters look fantastic! !